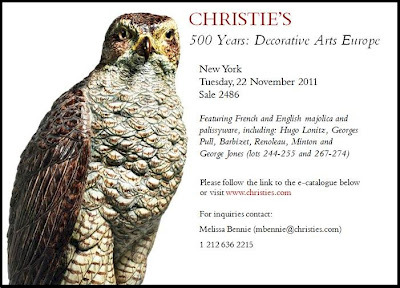 Several lots are Majolica and or Palissy items (lots 244 thru 254, documented on catalogue pages 178 thru 183). Special attention will be drawned to this wonderful lot number 248. 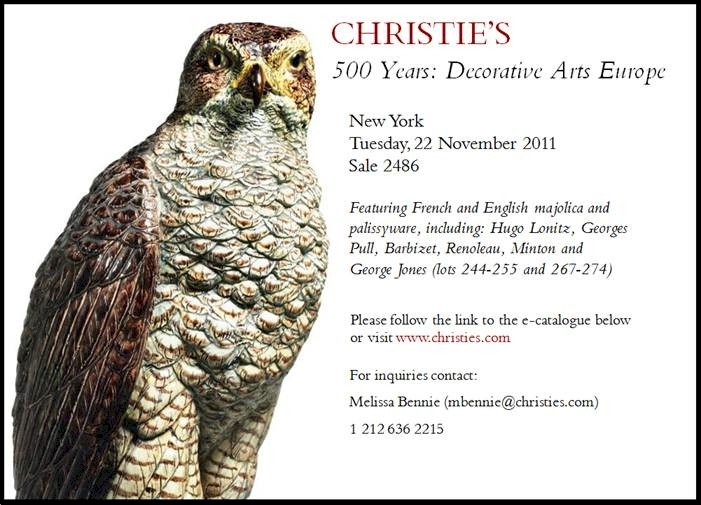 A large Hugo Lonitz Hawk, from the late 19th Century. 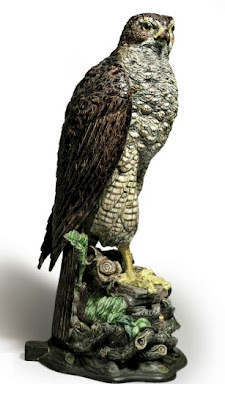 The hawk is modeled perched on a rocky outcropping applied with ferns and branches, one talon raised, its eyes glass, on an entwined branch base.